The Linux Foundation offers courses and certifications for people who want to become Linux Professionals. If you are interested in tech, wanting to start a career, change careers, or enhance your current career check the links below and support Cobber Linux (meaning the Linux Foundation gives me a % of each sale) at the same time. Please note prices shown are in $ US and this post is updated when new offers are made. Learning doesn’t stop in the summertime! Get 40% off all e-learning courses with code SUMMERSALE17 at The Linux Foundation. Sale ends June 16. Essentials of System Administration (LFS201). Become a Linux Foundation Certified System Administrator Linux is the #1 operating system for web servers, cloud computing, smart phones and consumer electronics. Due to its rapid adoption, there's a shortage of Linux system administrators. According to the 2015 Linux Jobs Report, "the unstoppable Linux job market shows no sign of slowing down." The Linux Foundation has created a career entry training and certification path that is 100% online, highly respected and exceptionally affordable. Linux Networking and Administration (LFS211). Become a Linux Foundation Certified System Engineer Get the skills you need to get certified and work as a Linux systems engineer. Linux Security Fundamentals (LFS216) After completing this course you will be able to assess your current security needs, evaluate your current security readiness and implement security options as required. Everyone involved with any security related tasks including implementation technicians, developers and managers will gain additional expertise from this course. Essentials of OpenStack Administration (LFS252). 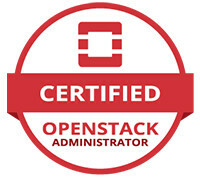 Become a Certified Open Stack Administrator. OpenStack is growing at an unprecedented rate, and there is incredible demand for individuals who have experience managing this cloud platform. With 40-50 hours of coursework and on-demand labs, this online self-paced training course will teach you everything you need to know to administer private and public clouds with OpenStack. Kubernetes Fundamentals (LFS258) So you've heard of Kubernetes but have no idea what it is or how it works? Then this is the course for you. It will take you from zero to knowing how to deploy a containerized application and manipulating resources via the API. Software Defined Networking Fundamentals (LFS265) This course is designed to provide network administrators and engineers, as well as system administrators who want to move into networking, with the skills necessary to maintain an SDN deployment in a virtual networking environment. Fundamentals of Professional Open Source Management (LFC210) The course provides a multidisciplinary overview of best practices in Open Source Software Management.